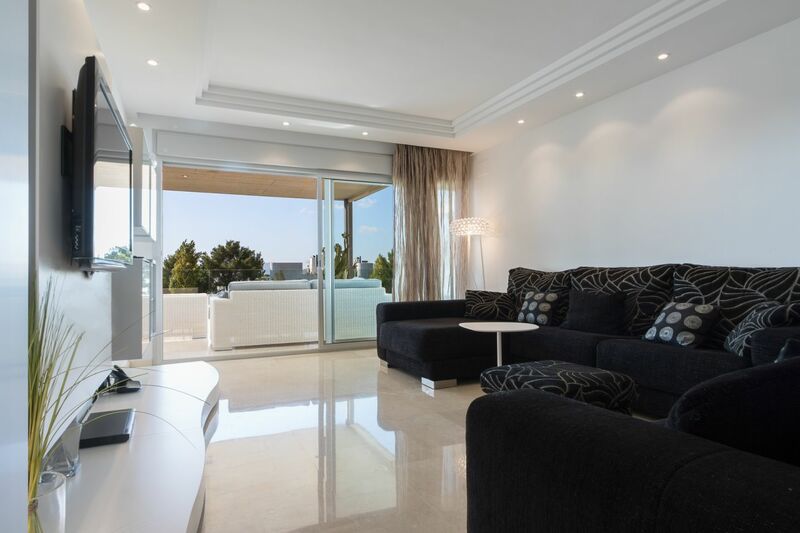 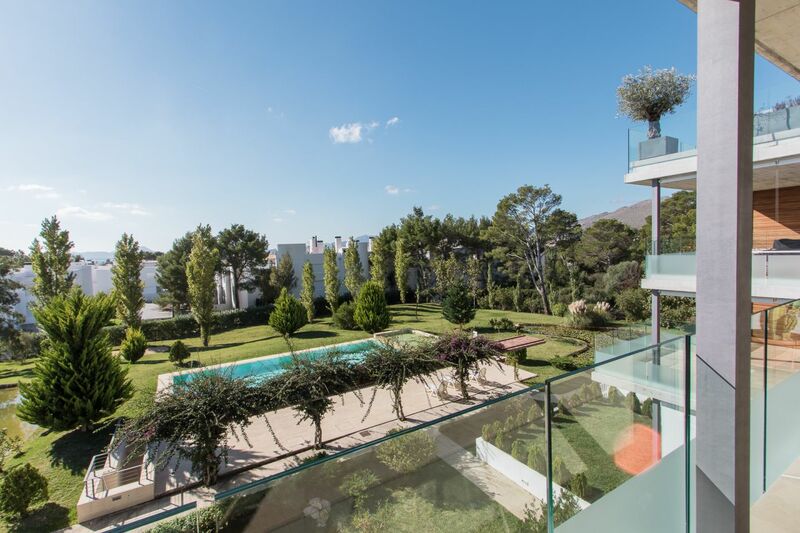 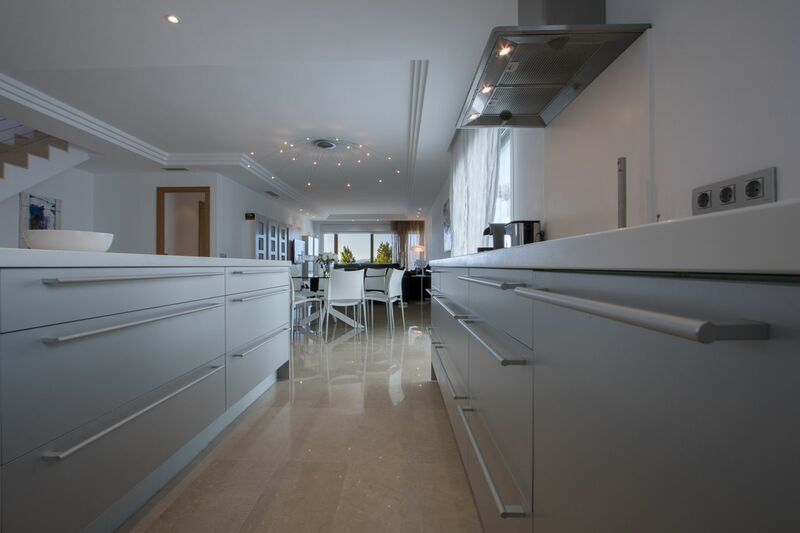 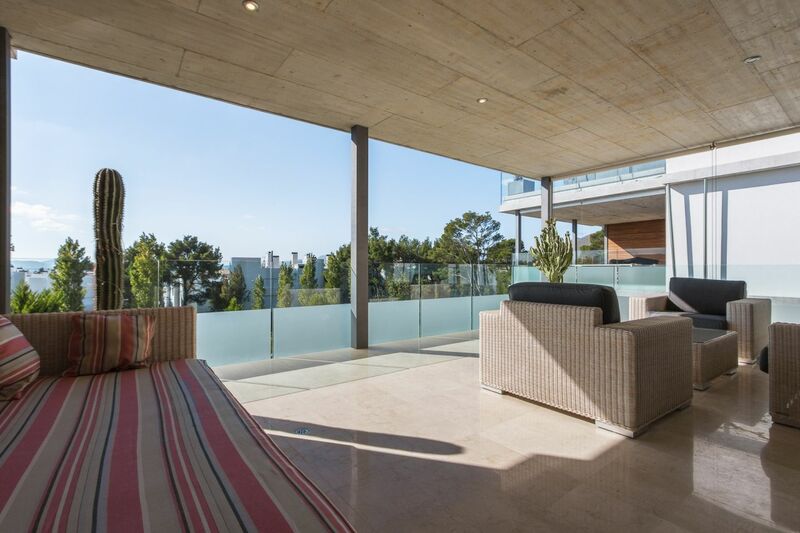 Stunning modern penthouse is situated in the calm urbanization of Bellresguard, 200 m away from the beach and the Pinewalk. 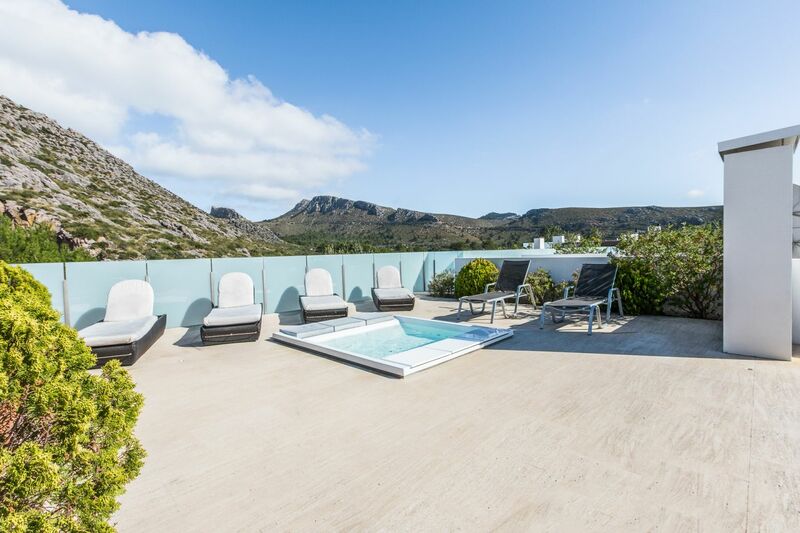 Fantastic views of the sea and the mountains. 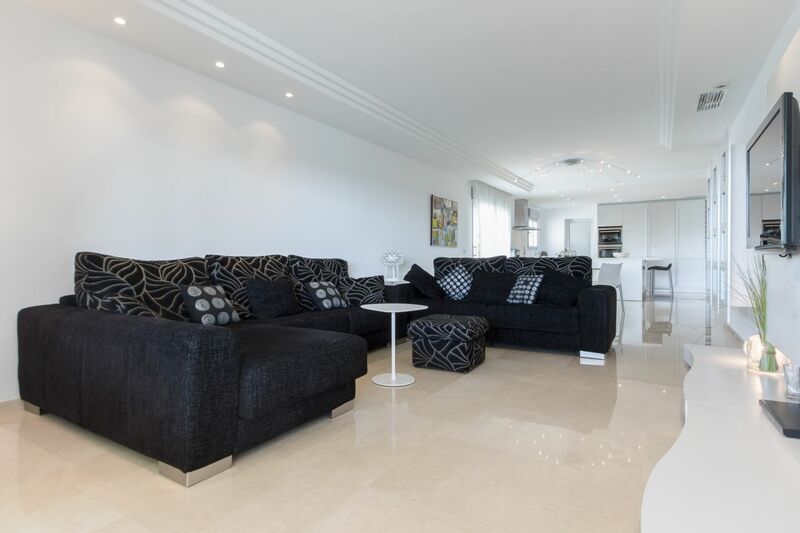 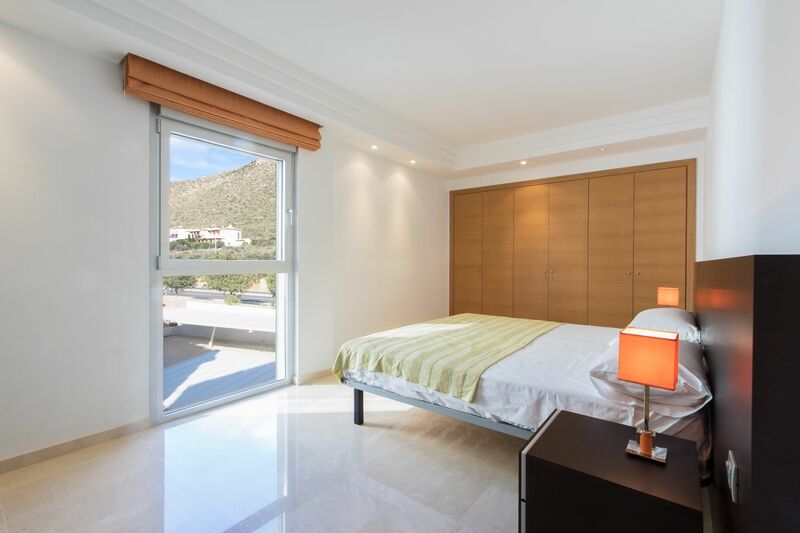 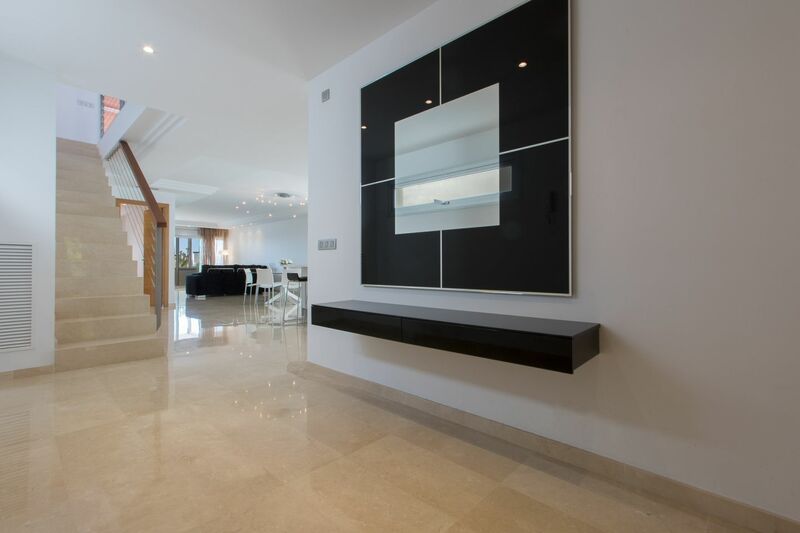 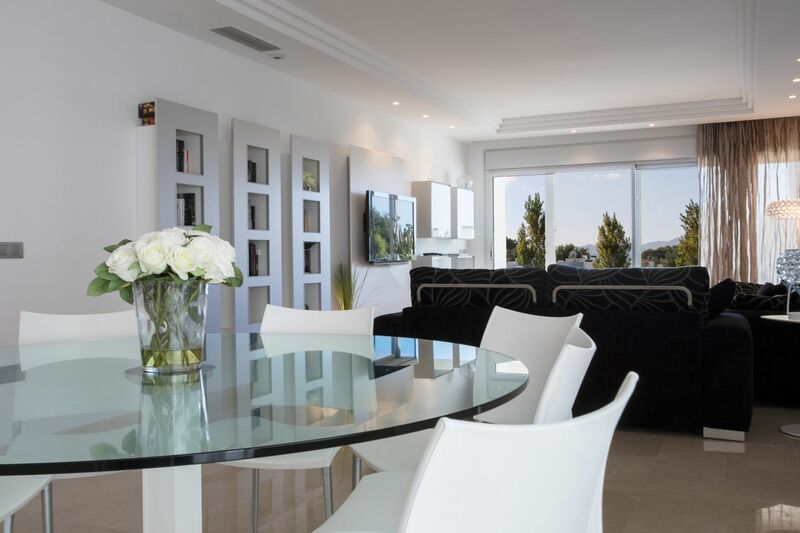 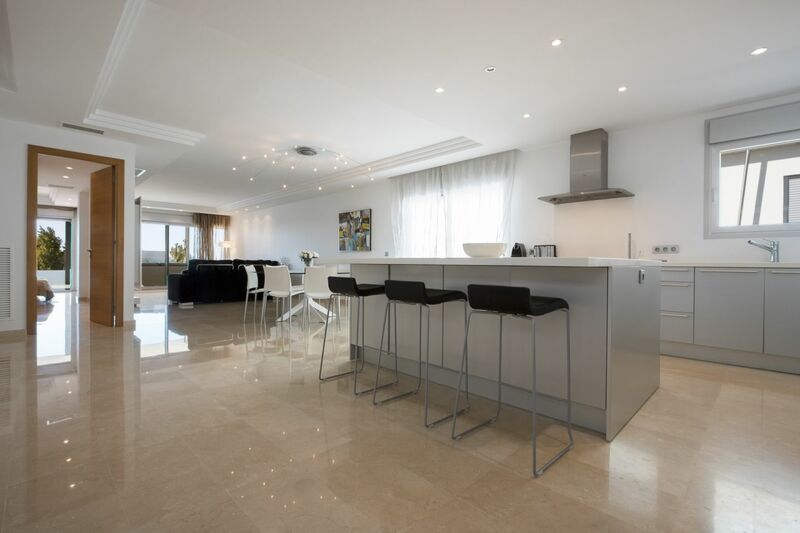 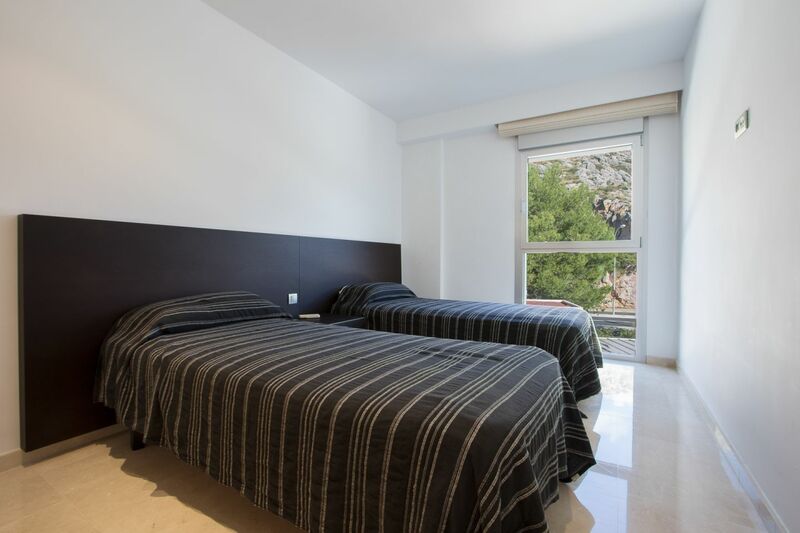 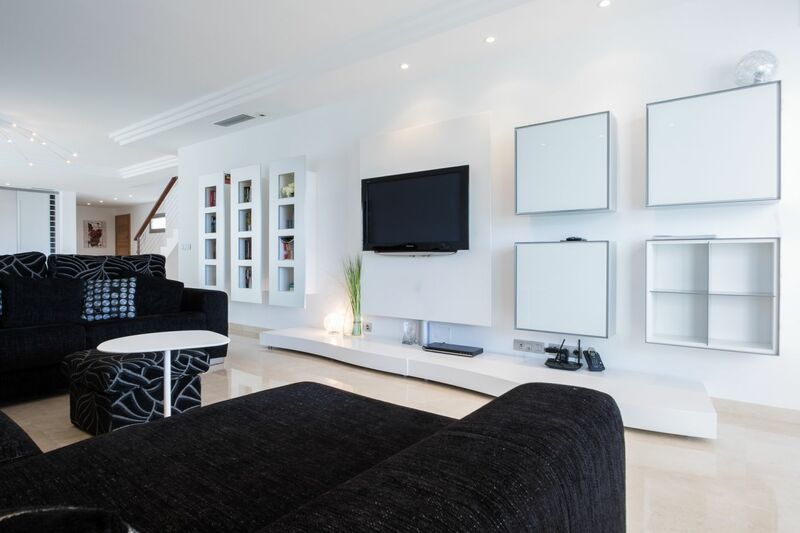 This modern penthouse is situated in the calm urbanization of Bellresguard, 200 m away from the beach and the Pinewalk, in the most exclusive area Pto. 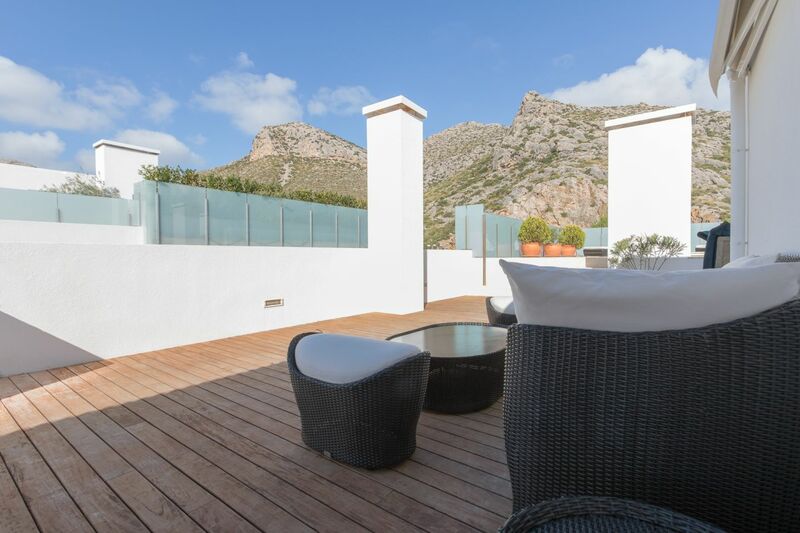 Pollensa. 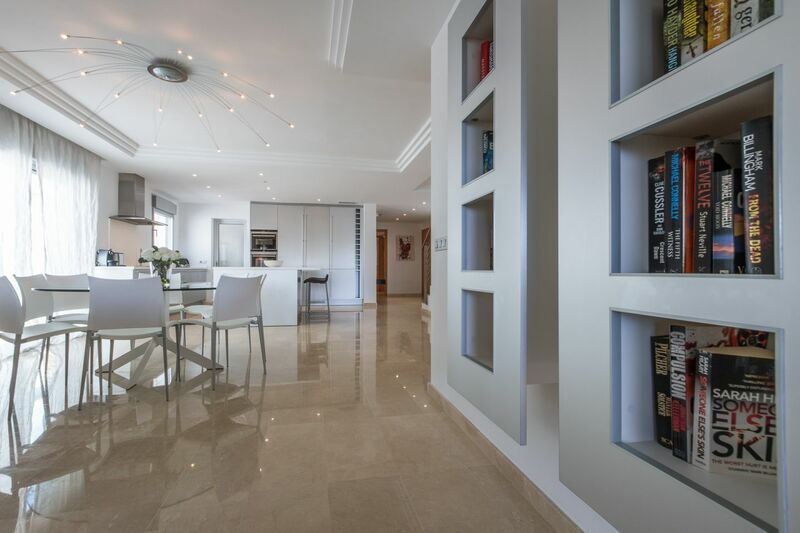 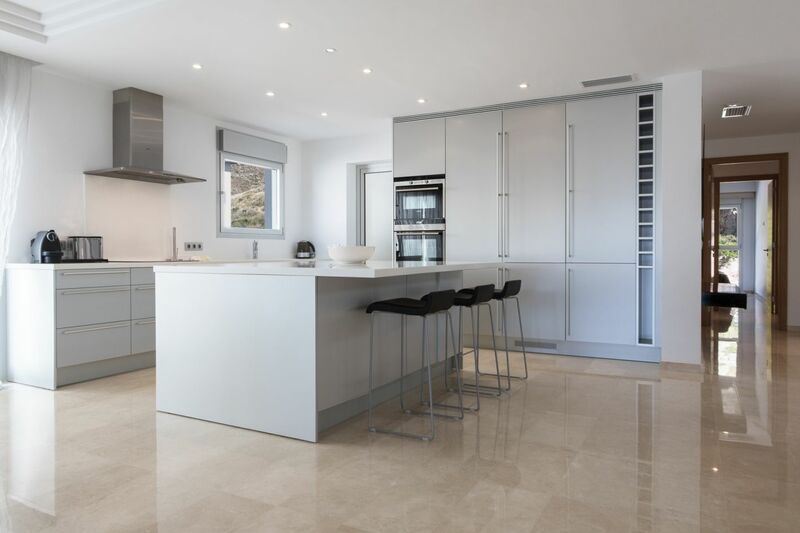 The property of 180 m2 l plus 33 m2 of terrace is distributed in 4 double bedrooms, 4 bathrooms, spacious living/dining room, open plan kitchen, utility/storage area. 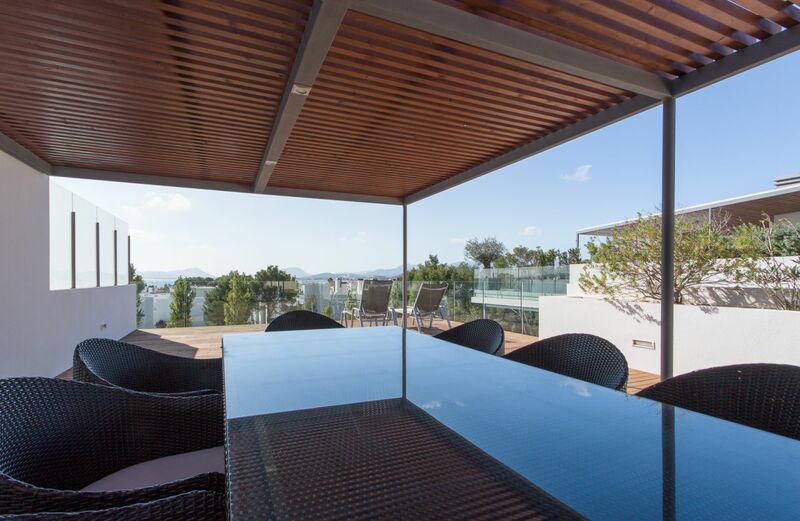 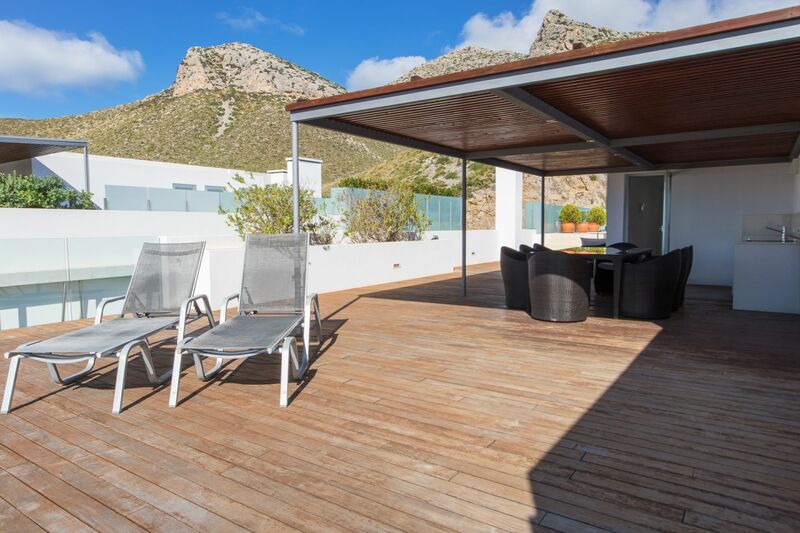 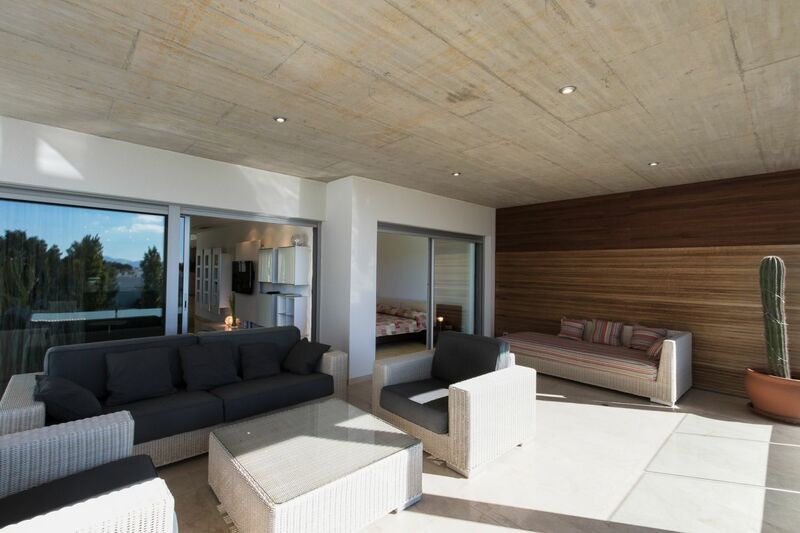 Furthermore the property consists of a private roof terrace of 200 m2 with barbecue and Jacuzzi area and extraordinary views of the mountains and the bay. 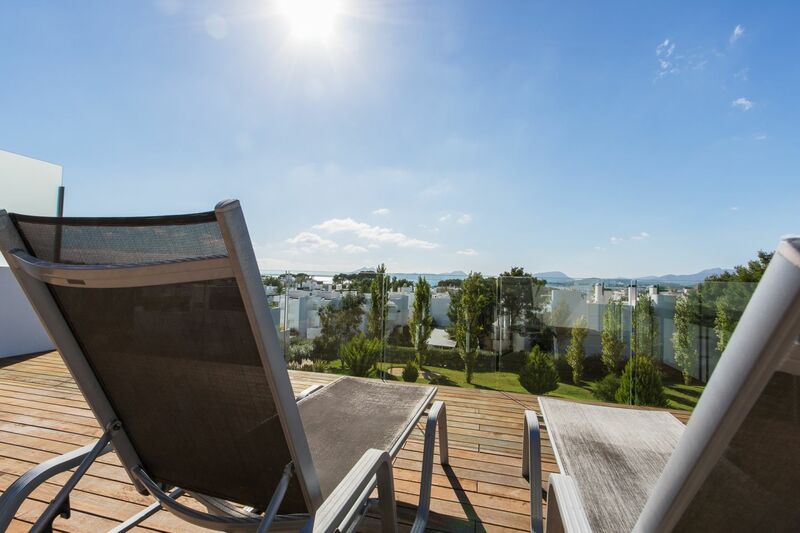 The most extensive garden area in Bellresguard is exclusive use only for this community with spacious pool area and sunbathing terraces.